There have been rumors that Apple will switch to OLED screen for its iPhone 8. Those rumors seem to carry more weight after Apple reportedly ordered an additional 60 million OLED panels from Samsung, bringing the total number to 160 million. This means that Samsung may become the main supplier for iPhone 8 displays. The deal is said to value at USD 4.3 billion. Apple already ordered 100 million OLED screens from Samsung in 2016 for its next-generation iPhone. Given that Apple typically sells around 200 million iPhones per year, the combined 160 million units suggests that 80% of the new smartphones will have Samsung’s displays. Originally, it is reported that due to shortages, only the high-end 5.8-inch model will feature an OLED display. Other iPhone models will still use LCD. 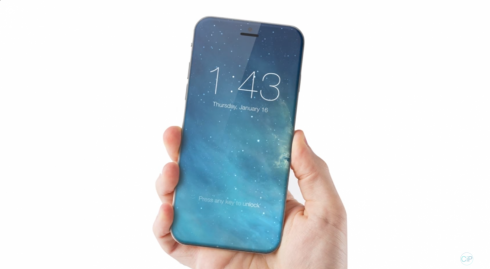 But with the latest rumors, it seems that Apple is expanding the use of OLED panels to other iPhones. However, according to WitsView, a division of TrendForce, Samsung is expected to produce at most 170 million plastic OLED panels in 2017. Considering Samsung uses OLED for most of its smartphones, the company can only provide around 70 million to 80 million OLED panels to Apple. In addition, these panels are expected to be used only for high-end models. Therefore, the reported 160 million is actually an overestimation. Neither Apple nor Samsung commented on the reported deal.